You Are Here: Home > MODEL YEAR-END SALES EVENT! $4999 Total Due at Signing Plus 1st Payment, Tax, Title and License Fees, 39 Months, Security Deposit Waived. 7,500 Miles Per Year, 0.15c Excess Mileage Charge. On Above Average Approved 730+Credit through Chase Financial. Hornburg Santa Monica is excited to offer this 2018 Jaguar F-PACE. This Jaguar includes: WHEEL LOCK PACK (PIO) Wheel Locks PROTECTION PACK (PIO) GLOSS BLACK ROOF RAILS INTERIOR CAR CARE KIT (PIO) SD NAVIGATION Navigation System *Note - For third party subscriptions or services, please contact the dealer for more information. * This SUV gives you versatility, style and comfort all in one vehicle. You deserve a vehicle designed for higher expectations. This Jaguar F-PACE delivers with a luxurious, well-appointed interior and world-class engineering. All-wheel drive means peace of mind all the time. This Fuji White AWD Jaguar enjoys a host offeatures, including exceptional acceleration and superior stability so you can drive with confidence. Where do you need to go today? Just punch it into the Jaguar F-PACE on-board navigation system and hit the road. $4999 Total Due at Signing Plus 1st Payment, Tax, Title and License Fees, 39 Months, Security Deposit Waived. 7,500 Miles Per Year, 0.15c Excess Mileage Charge. On Above Average Approved 730+Credit through Chase Financial. 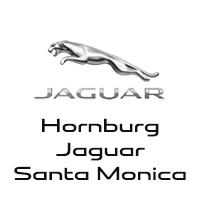 This 2018 Jaguar F-PACE is offered to you for sale by Hornburg Santa Monica. This Jaguar includes: GLOSS BLACK ROOF RAILS CORRIS GREY METALLIC SD NAVIGATION Navigation System *Note - For third party subscriptions or services, please contact the dealer for more information. * Want more room? Want more style? This Jaguar F-PACE is the vehicle for you. You deserve a vehicle designed for higher expectations. This Jaguar F-PACE delivers with a luxurious, well-appointed interior and world-class engineering. Savor the satisfaction of safety in any condition with this AWD Jaguar F-PACE. Superior acceleration, unmatched traction and stability as well as a luxurious interior round out the impressive features of this AWD Jaguar F-PACE. Enjoy the drive without worrying about directions thanks to the built-in navigation system. $4999 Total Due at Signing Including 1st Payment, Tax, Title and License Fees, 36 Months, Security Deposit Waived. 7,500 Miles Per Year, 0.15c Excess Mileage Charge. On Above Average Approved 730+Credit through Chase Financial. $4999 Total Due at Signing Including 1st Payment, Tax, Title and License Fees, 36 Months, Security Deposit Waived. 7,500 Miles Per Year, 0.30c Excess Mileage Charge. On Above Average Approved 730+Credit through Jaguar Financial. This outstanding example of a 2018 Jaguar XF is offered by Hornburg Santa Monica. There's a level of quality and refinement in this Jaguar XF that you won't find in your average vehicle. Take home this 2018 Jaguar XF and enjoy the safety and added performance of AWD. Just what you've been looking for. With quality in mind, this vehicle is the perfect addition to take home. The look is unmistakably Jaguar, the smooth contours and cutting-edge technology of this Jaguar XF will definitely turn heads. $4999 Total Due at Signing Including 1st Payment, Tax, Title and License Fees, 36 Months, Security Deposit Waived. 7,500 Miles Per Year, 0.30c Excess Mileage Charge. On Above Average Approved 730+Credit through Jaguar Financial. Hornburg Santa Monica is excited to offer this 2018 Jaguar XF. You appreciate the finer things in life, the vehicle you drive should not be the exception. Style, performance, sophistication is in a class of its own with this stunning Jaguar XF. Savor the satisfaction of safety in any condition with this AWD Jaguar XF. Superior acceleration, unmatched traction and stability as well as a luxurious interior round out the impressive features of this AWD Jaguar XF. Enjoy the drive without worrying about directions thanks to the built-in navigation system.